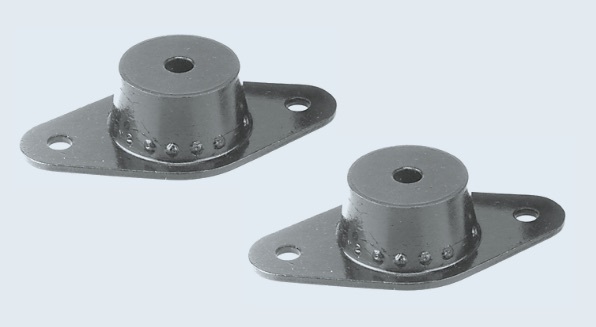 Vibration Mounts for Effective Isolation of Small to Medium Sized Diesel Engines. Barry HR Series mounts are best suited for isolation of diesel engines with five or less cylinders for on or off-highway applications. The standard neoprene elastomer provides resistance to oils and most solvents. Other elastomers are available, consult factory for more information. Neoprene elastomer has an operating temperature range of -40°C to +93°C and is resistant to oils, most solvents and ozone.